As the top-ranking data recovery software for Apple zealots, iOS Data Recovery is capable of getting the lost or deleted data back directly from the iOS device or iTunes backup files. No matter how the data got lost or deleted - device loss, jailbreak, iOS upgrade or factory settings restore - this practical iOS Data Recovery can easily get them back for you. 7 types of text content and 5 types of media content can be retrieved. It's highly compatible with iOS 7 and any iOS device, the new iPhone 5S/5C and iPad mini 2/iPad Air included. Blu-ray Converter consists of Blu-ray Ripper and iPhone Transfer, which enables you to rip Blu-ray movies, DVD movies and common video files to any video and audio format that you need with blazing-fast speed. What's more, you're able to transfer music, movies, photos, etc. between iPhone and computer as well as transfer files between iOS devices with ease. Thanks to the practical video editing functions, you can easily get the ideal output video for your mobile devices. It's a professional and easy-to-use Blu-ray converter. Blu-ray Player is the comprehensive media player, which can not only play Blu-ray disc that released in different countries with fluent image quality, but also play common video files like MP4, MOV, WMV, FLV, AVI, etc. on your computer with vivid effect. It wil enhance your multimedia life to a great degree. With the help of this almighty DVD Converter Suite Platinum, it's easy to convert DVD movies and video files to any 2D and 3D format with ultra fast speed. 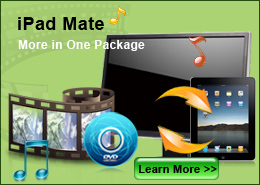 Also, you're able to make DVD disc/DVD folder/DVD ISO files with various video files, transfer music, movies, photos, etc. between iPhone and computer and transfer files between two iOS devices. iPhone Transfer Platinum is the best assistant for iPhone users, which enables you to transfer music, movies, photos, etc. between iPhone and computer. Moreover, you're able to transfer files between iPhone and other iOS devices like iPhone, iPad and iPod. Converting DVD movies and videos to iPhone for a more convenient enjoyment is also very easy. Now it highly supports any iOS device, including the latest iPhone 5S, iPhone 5C, iPad mini 2 and iPad Air. All in all, it's a good transfer tool for iPhone users. 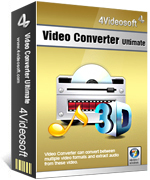 As the professional yet ultra initial video converter, Video Converter Ultimate is capable of converting DVD movies and video files to any video format like MP4, AVI, FLV, MOV, WMV, 3GP, etc. with ZERO quality loss. Moreover, it enables you to convert common media files to 3D format with ZERO quality loss. After the conversion, you can enjoy the videos on multiple digital players like 3D TV, iPhone 5S, iPhone 5c, iPad mini 2, iPad Air, iPod touch, Samsung Galaxy Note 3, Samsung Galaxy S4 and more.